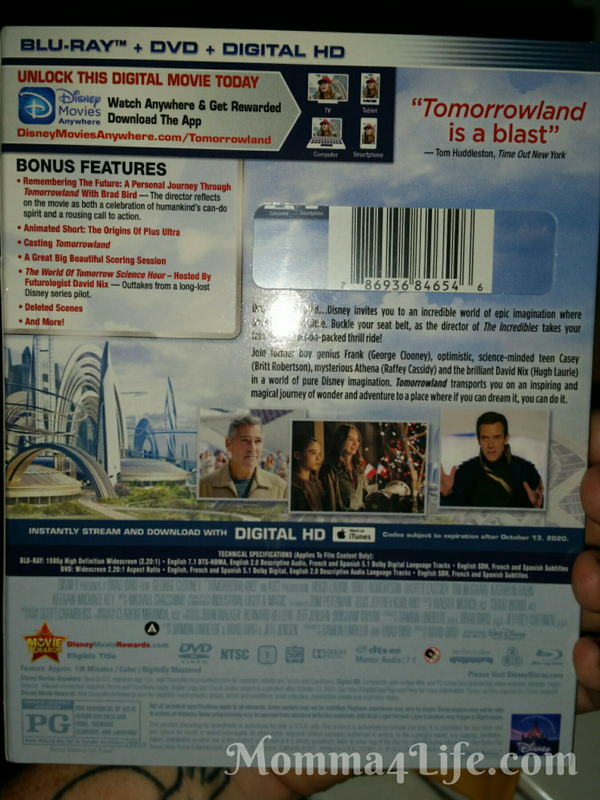 The kids love this movie Tomorrowland we have seen it advertised so many times and the kids were so excited to get this on Dvd. This is definitely a story of adventure. And always keeping you on your toes. My daughter keeps reminding me the girl in the movie looks like the girl from a show called Girl Meets World. This captured the kids attention. This is a movie great for the whole family to watch. I would highly suggest it and it would make a great Holiday Gift too. 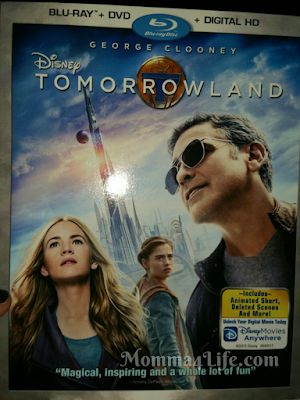 SYNOPSIS: Dreamers Wanted…Disney invites you to an incredible world of epic imagination where anything is possible. 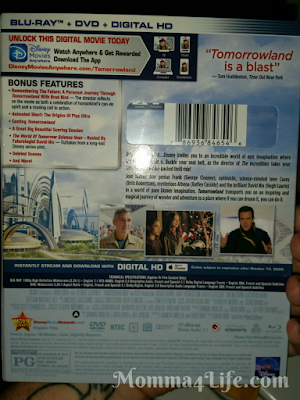 Buckle your seat belt, as the director of The Incredibles takes your family on an action-packed thrill ride.